That would be the temperature sensing thing called a thermistor. The icemaker uses it to make decisions about when to make ice. This particular example is from an LG refrigerator model LRSC26923TT but all the LG models are similar. 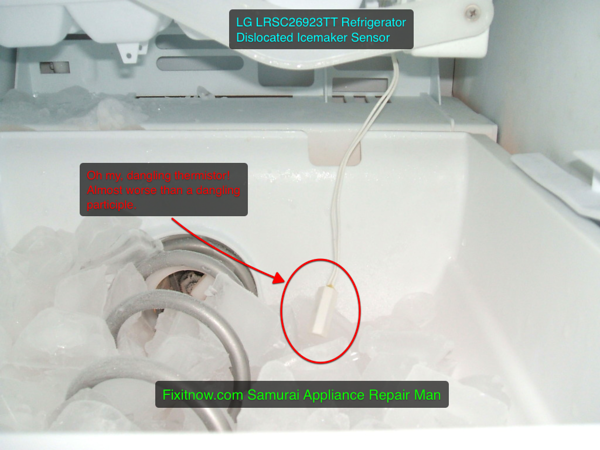 Samsung’s icemaker’s use the same thermistor arrangement, too. 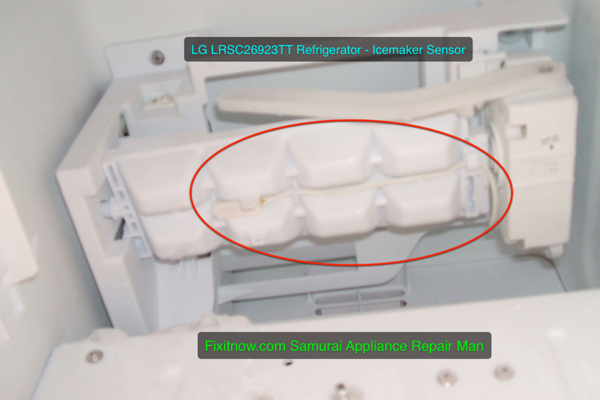 This entry was posted in Ice Maker Repair, Refrigerator Repair on March 6, 2011 by Samurai Appliance Repair Man.